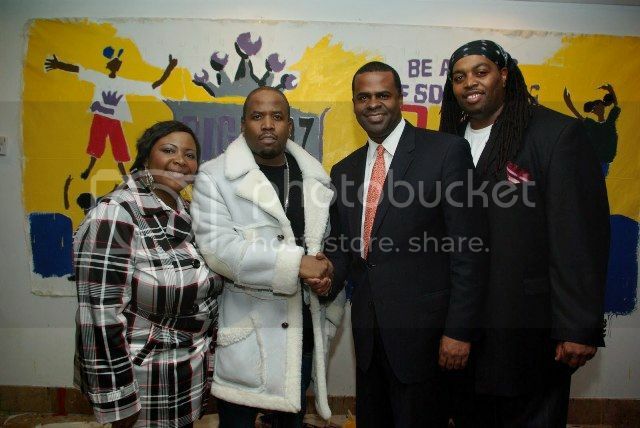 Hip hop artist Big Boi with youth at his foundation's annual holiday party on December 17, 2009 in Atlanta. 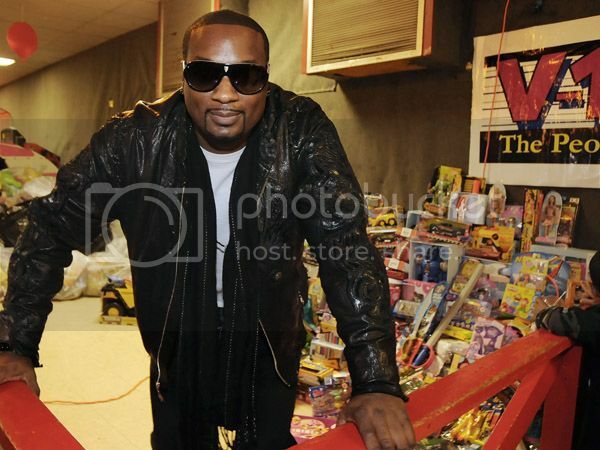 Many of your favorite celebrities celebrated the holidays by giving back to their communities. 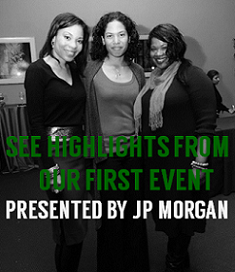 On December 17, 2009, Big Boi and his Big Kidz Foundation hosted more than 100 youth from throughout the Atlanta area at its annual holiday party. The youth were joined by the who’s who in Atlanta that included Chris Henderson, the beat-maker behind Jamie Foxx's hit song "Blame It," Cedric Miller, MD, President and CEO of Pediatric Emergency Medicine Associates, LLC, and Big Kidz’ Board Members: City Councilman Kwanza Hall and Atlanta’s Mayor-Elect Kasim Reed. The Big Kidz Foundation partnered with Family First, the DeKalb County Child Advocacy Center and other local agencies to provide gifts to less fortunate youth and children in foster care. "I just wanted to spread a little holiday cheer, especially in this tough economy," Big Boi shared. In support of the Big Kidz Foundation, local restaurateur Lorenzo Wyche hosted a toy drive at two of his restaurants -Harlem Bar and Social House- through December 20th benefiting the event. "During this time of the year, we get a chance to touch a lot of children lightly but our programs are designed to have a lasting impact on youth," explained Jennifer Lester, Executive Director of the Big Kidz Foundation. 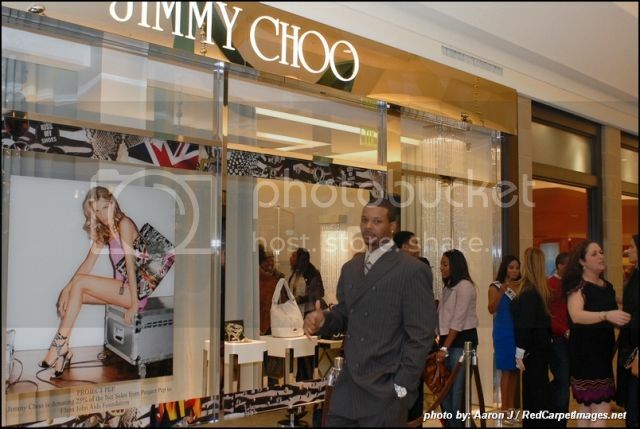 New York Jets Star Safety Kerry Rhodes and the acclaimed Jimmy Choo brand collaborated to present celebrities and VIP's with an exclusive holiday shopping experience in honor of the Kerry RHODES Foundation. 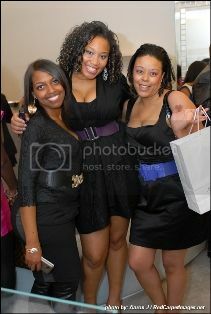 On Tuesday, December 15, 2009, the Jimmy Choo location at The Mall at Short Hills closed its doors to customers and welcomed an invite only crowd to mix and mingle to great tunes spun by Power 105's DJ Kut, enjoyed hors d'oeuvres provided by David Ellis Catering and Jimmy Choo & Kerry Rhodes specialty drinks while shopping the new 2010 Cruise Collection. The special night was hosted by Kerry Rhodes and Miss USA Kristen Dalton. 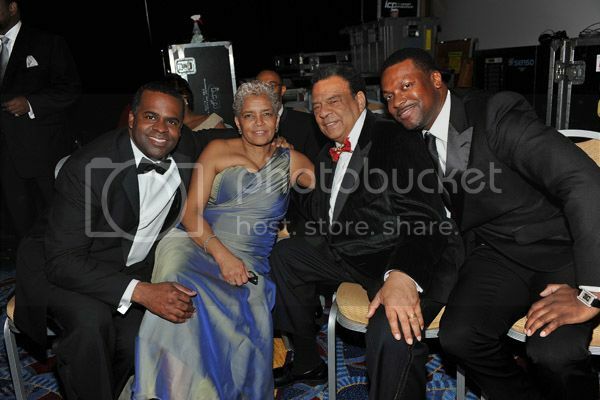 Atlanta Mayor-elect Kasim Reed, Atlanta Mayor Shirley Franklin, former Atlanta Mayor Andrew Young and actor Chris Tucker attend the 26th anniversary UNCF Mayor's Masked Ball at Atlanta Marriott Marquis on December 19, 2009 in Atlanta, Georgia. 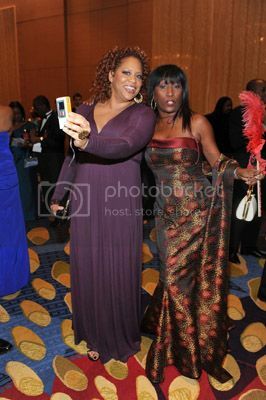 Via UNCF.org: On Saturday, December 19, UNCF held its 26th Annual Mayor's Masked Ball, one of metropolitan Atlanta's signature fund-raising galas and premier social events of the holiday season. Founded 25 years ago by former Mayor Andrew Young and Billye S. Aaron, the ball is hosted by the sitting mayor of Atlanta and local corporate sponsors. 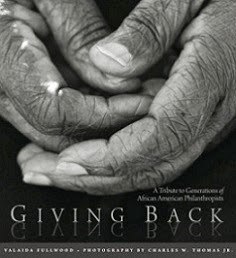 Its purpose is to involve celebrities, dignitaries, civic leaders, volunteers, public officials and other supporters in the annual local fund-raising activities of UNCF. 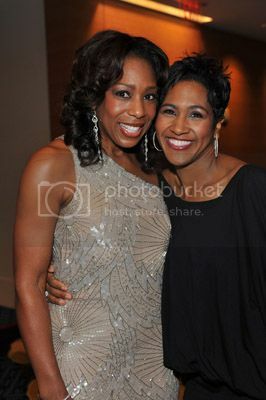 Entertainment was provided by R&B group En Vogue.